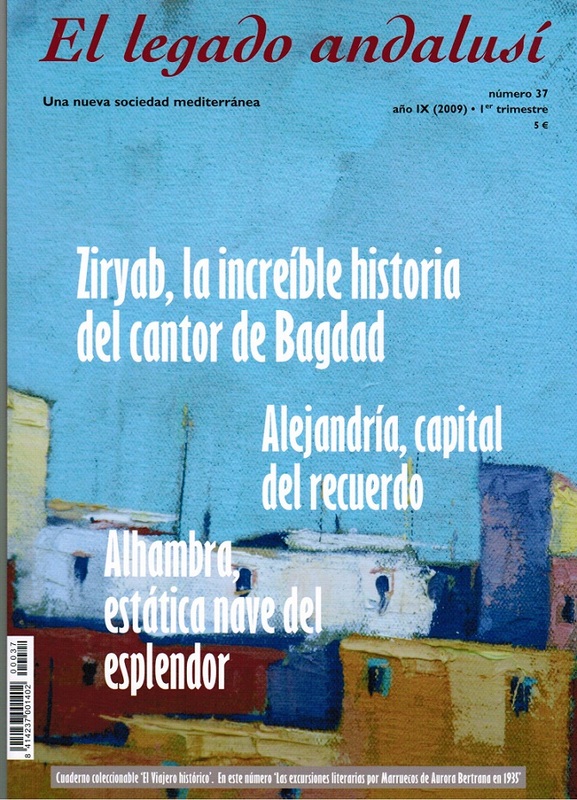 Today the Andalusi Legacy Foundation (Fundación El Legado Andalusí) published my first article in its quarterly magazine. This is my very first article to be published in Spain, and I’m very glad about collaborating with this foundation. Based in Granada, its focus is to raise awareness about the history and culture of al-Andalus inside and outside Spain. The article is about Alexandria, once a cosmopolitan city where Egyptians, Greeks, Italians, Cypriots, Maltese and Armenian communities lived side by side. Centuries prior to that, the city was a magnet for Andalusi intellectuals, scholars and mystic: names like al-Mursi (from Murcia) and al-Shatibi (from Shatibi) are among the most prominent. Going back further in time, one is awed by the famous Bibliotheca where the Hellenistic culture reached an unprecedented level of splendor and refinement under the Ptolemaic patronage. But the city is much more that that. it’s truly a capital of memory with layer upon layer of history, but even more important, it’s the ‘great winepress of love’ as Lawrence Durrell once called it, and to many, it’s the ‘Ithaka’ that Kavafis once described.